Lower back pain plagues about 80% of adults at some point in their lives.  Luckily, physical therapist Rich Sarmiento, MPT and his skilled team of affiliates at NYPT Health and Rehab in Midtown Manhattan’s Flatiron District offer personalized treatment for all kinds of lower back pain. If your lower back pain interferes with work or the activities you love, call NYPT Health and Rehab or schedule an appointment online today. Lower back pain can vary in type, intensity, and duration. You may feel a persistent, dull ache, or a sudden pang of sharp pain. Most of the time, lower back pain is acute, only lasting a few days or weeks. It may subside on its own or with home care. Pain lasting more than 12 weeks is considered chronic. About 20% of acute lower back pain cases turn into chronic pain. Chances are you’ve felt lower back pain at some point in your life. Lower back pain is one of the top contributors to missed work days, and the leading cause of work-related disability in the United States. Back pain is the most common reason people seek acupuncture treatment. NYPT’s licensed affiliate acupuncturist uses both needles and cupping techniques to relieve lower back pain. The needles are painless and help stimulate specific points on your body while cupping increases blood flow and helps your muscles relax through gentle suction. Professional massage therapists at NYPT can help ease tension in your lower back while speeding your recovery process. Studies show physical therapy to be just as effective as surgery at treating spinal stenosis, without having to undergo a painful and invasive procedure. NYPT’s chiropractor, John Alexander, DC, can adjust your spine to help relieve any pain caused by misalignment. If manual therapy and exercises don’t adequately reduce your pain, NYPT’s sports medicine physician can administer cortisone injections, provide prescriptions, and perform diagnostic nerve conduction study testing as well as blood tests to help get you on the road to full health. If lower back pain is interfering with your life, call NYPT Health and Rehab or schedule an appointment online today to learn more about how their expert staff can get you back in action as soon as possible.